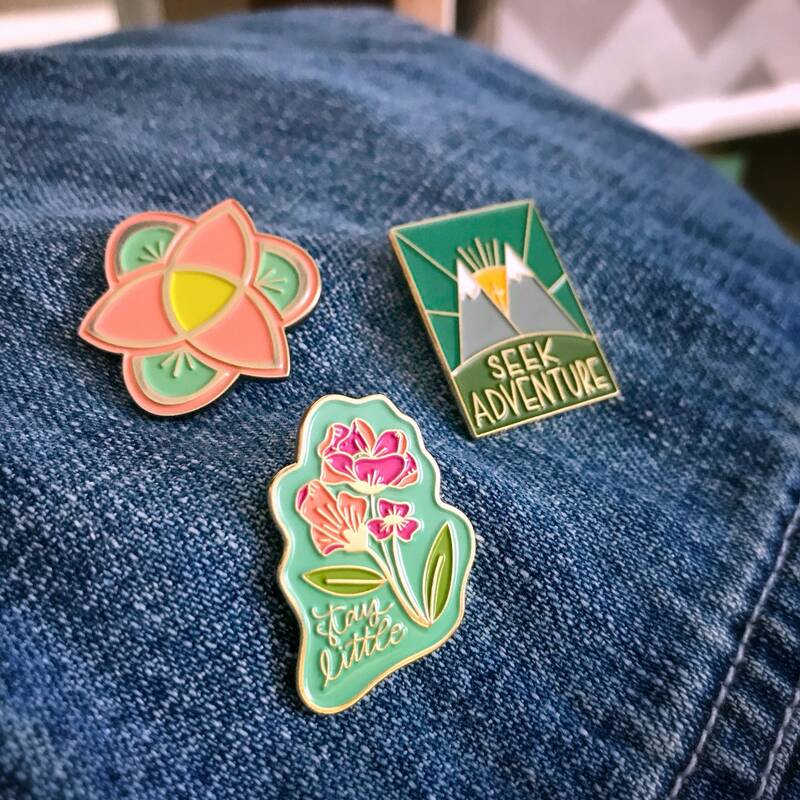 Add a little pop to any jacket or bag with these new enamel pins! 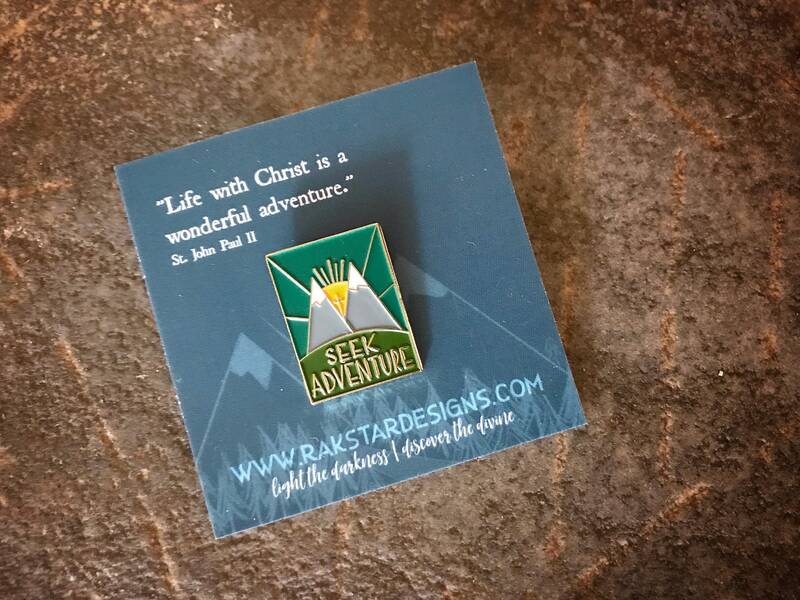 Each design was prayerfully drawn by hand and then brought to life in a 1" pin with a clutch back to secure it in place. STAY LITTLE - In a world that often tells you to go big or go home, it can be hard to feel small and invisible. Yet, God promises that the smallest and the last He will make first and glorious. 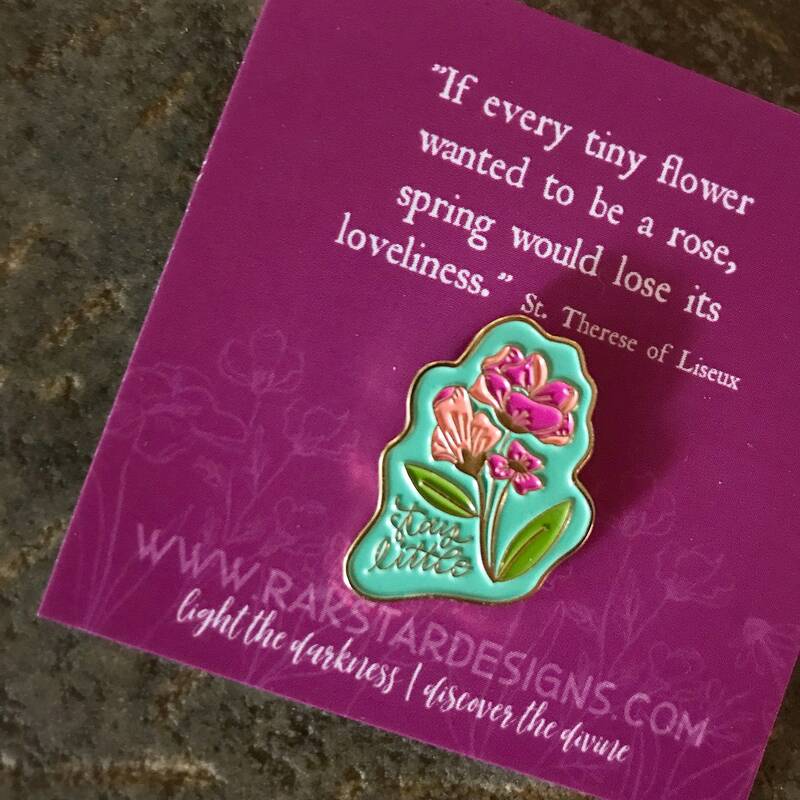 This pin was designed to be an encouragement to stay little and true to yourself - to remember that even the smallest wildflower makes a world of difference in a bigger garden. 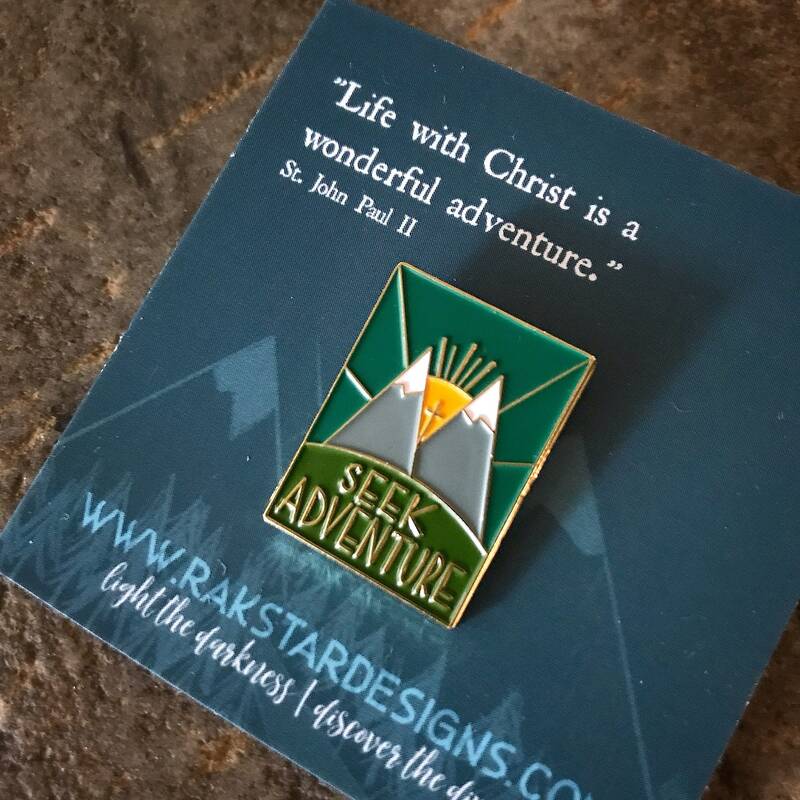 SEEK ADVENTURE - In a world that tries to tell us a life of faith is boring, this pin is designed to serve as a reminder that the greatest adventures come from seeking Jesus. 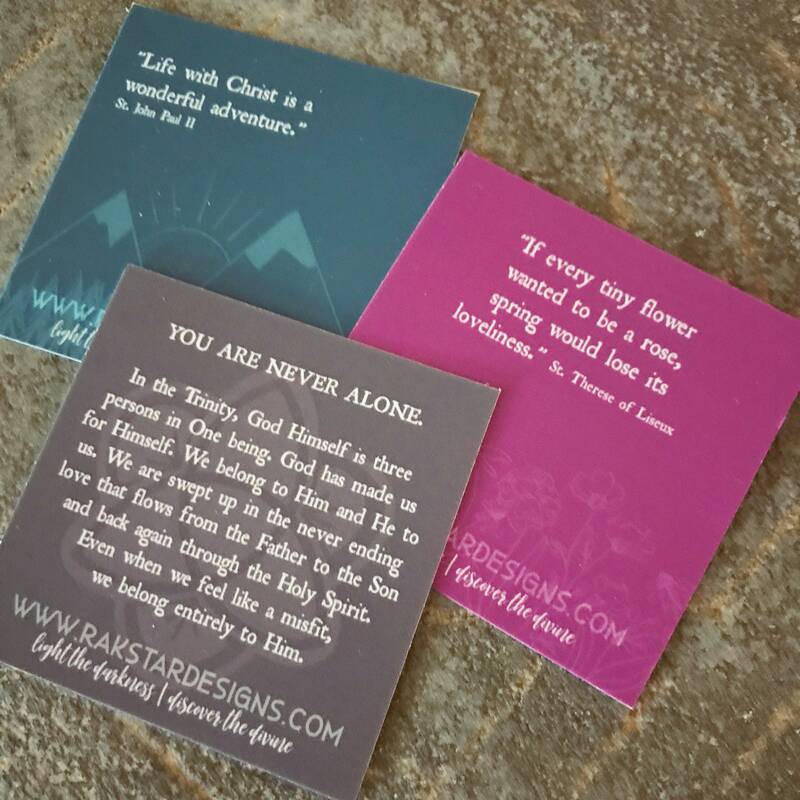 As St. John Paul II tells, "life with Christ is a great adventure!" 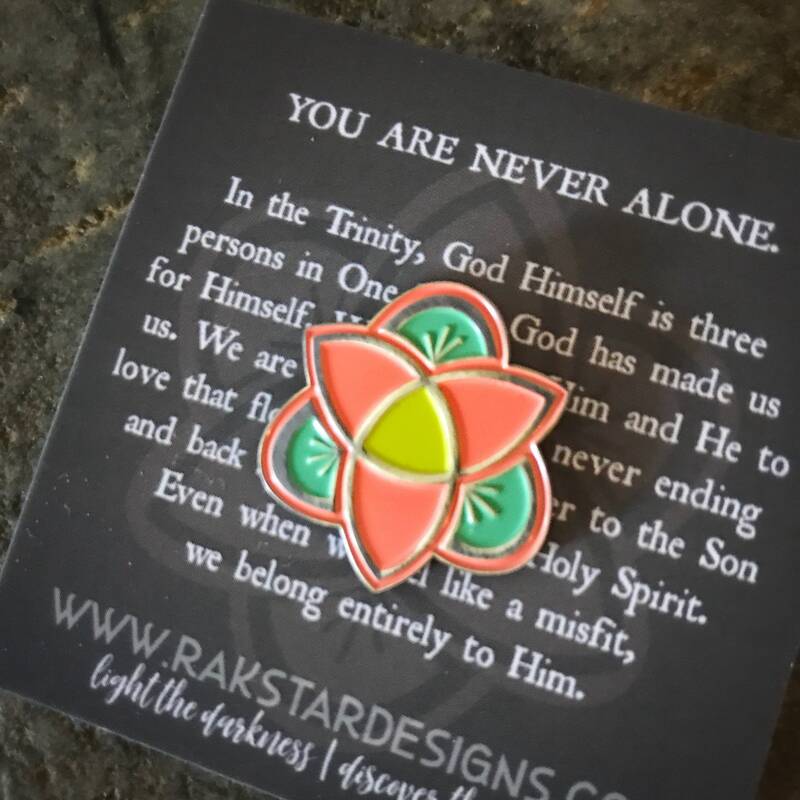 NOT ALONE - Do you ever feel alone even in a room full of people? 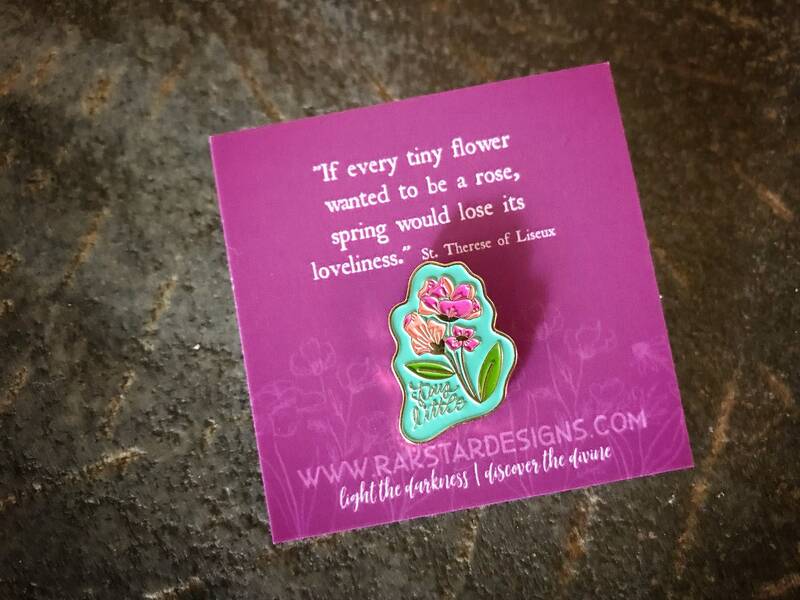 Then this pin was designed just for you. I often find myself feeling that way too. The greatest highwire act is trying to reconcile my heart always longing for more (a la St. Augustine) and resting in the sure knowledge that God has NOT left me alone. The trinity knot serves as a symbol of the never-ending love flowing from the Father to the Son and back again through the Holy Spirit. We are drawn into that very love. God has made us for Himself. Even when we feel like misfits, we belong entirely to Him. He has not left us alone. 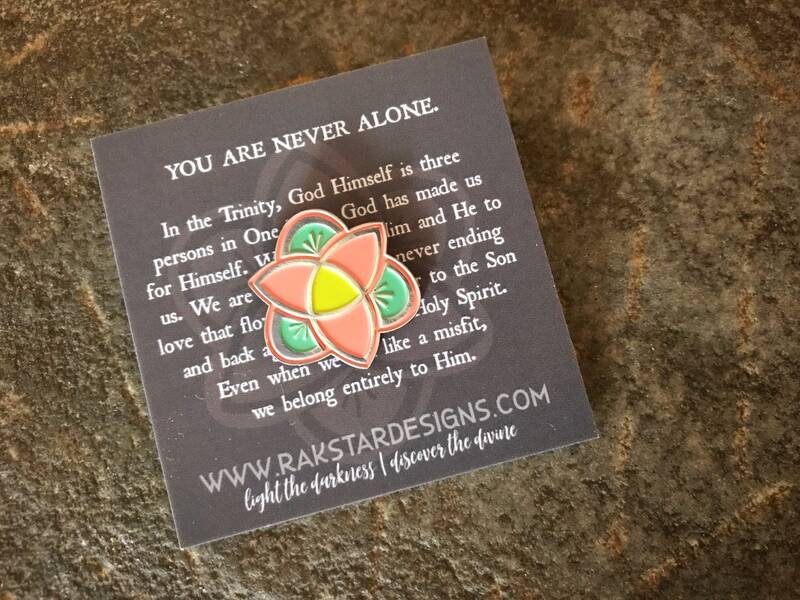 Pins are made of brass and soft enamel. They measure approximately 1" in length / circumference.